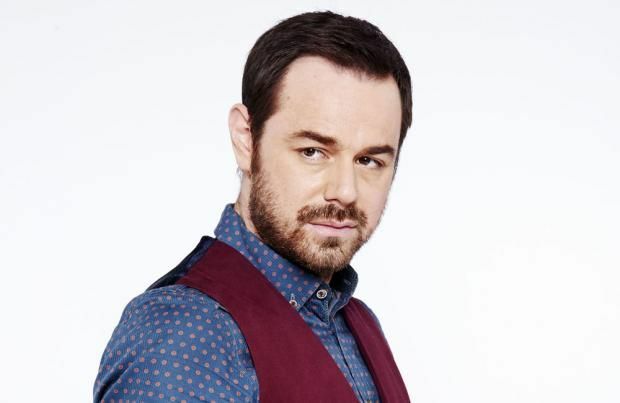 Danny Dyer has been nominated for the Best Actor gong at this year's British Soap Awards. The 'EastEnders' hunk - who is known for portraying loveable pub landlord Mick Carter in the long-running soap - hasn't had the easiest of times recently and even asked bosses if he could take a short break while he recuperates from his gruelling schedule, but it looks like his hard work hasn't gone unnoticed as he's managed worm his way onto the long list for the forthcoming ceremony. However, the 39-year-old actor will have to fight off some stiff competition if he wants to bag the trophy as he's up against 'Emmerdale's John Middleton - who played dementia sufferer Ashley Thomas - and William Roache, who is best known for playing Ken Barlow in 'Coronation Street'. Other people who could lift the gong include; EastEnders' Scott Maslen (Jack Branning), Davood Ghadami (Kush Kazemi), 'Coronation Street's Simon Gregson (Steve McDonald), Jack P Shepherd (David Platt), 'Emmerdale's Danny Miller (Aaron Dingle), Matthew Wolfenden (David Metcalfe), Hollyoaks' Jamie Lomas (Warren Fox), Ben Ryan Davies (Nick Savage), Gregory Finnegan (James Nightingale), Doctors' Ashley Rice (Dr Sid Vere), Owen Brenman (Dr Heston Carter) and Chris Walker (Rob Hollins). The legendary June Brown - who plays Dot Cotton in 'EastEnders' - has secured a nomination in the Best Actress category alongside her co-stars Lacey Turner (Stacey Fowler) and Diane Parish (Denise Fox). 'Emmerdale' has also been successful with nominations as Zoe Henry (Rhona Goskirk), Charlotte Bellamy (Laurel Thomas) and Natalie J Robb (Moira Dingle) have secured a slot on the noms list. 'Coronation Street' has Jane Danson (Leanne Battersby), Kym Marsh (Michelle Connor) and Lucy Fallon (Bethany Platt) to thank for helping them be in with the chance of scooping the impressive gong, while Hollyoaks' Anna Passey (Sienna Blake), Rachel Adedeji (Lisa Loveday) and Jessica Fox (Nancy Osborne) will be fighting against their rivals in the hope of lifting the iconic award next month. 'Emmerdale', 'Coronation Street', 'EastEnders', 'Doctors' and 'Hollyoaks' will go head-to-head for the Best British Soap when the ceremony takes place in London in May.